I don’t have a new “crafty” something I’d like to share this week. I have been very busy getting ready for a get together at my house. But, I do have a “craft memory” to share. I guess for me, crafting is quite often about creating memories through various projects and scrapbooking. 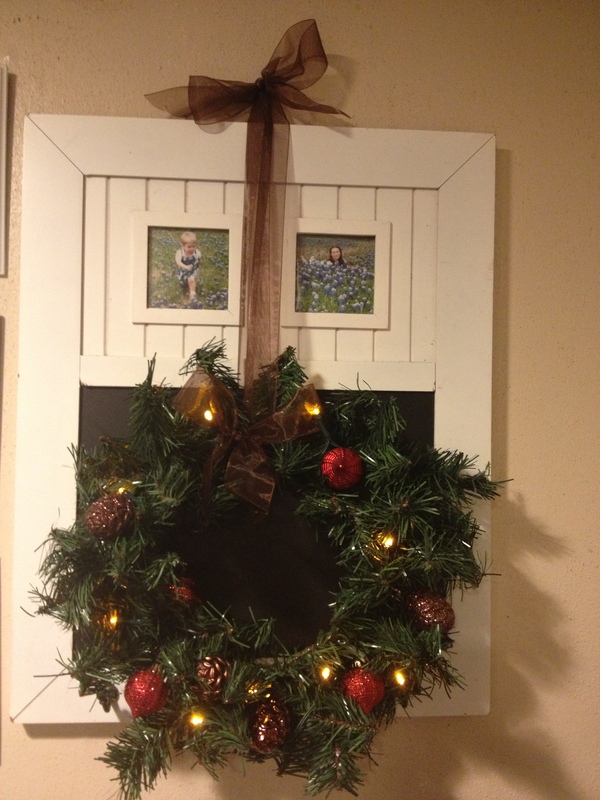 But, I have been organizing myself and getting ready for the transition between Fall decorations and Christmas decor. I remembered a project from last year that I absolutely love and plan to expand on this year. Well, I guess this project started about 14 years ago. Now, you say, “she is the queen of unfinished craft projects.” Not quite, but close. When my daughter was about 5, I decided we needed a Western themed Christmas tree. (I have several themed trees now). Western-themed Christmas stuff, at least in Texas can be expensive! 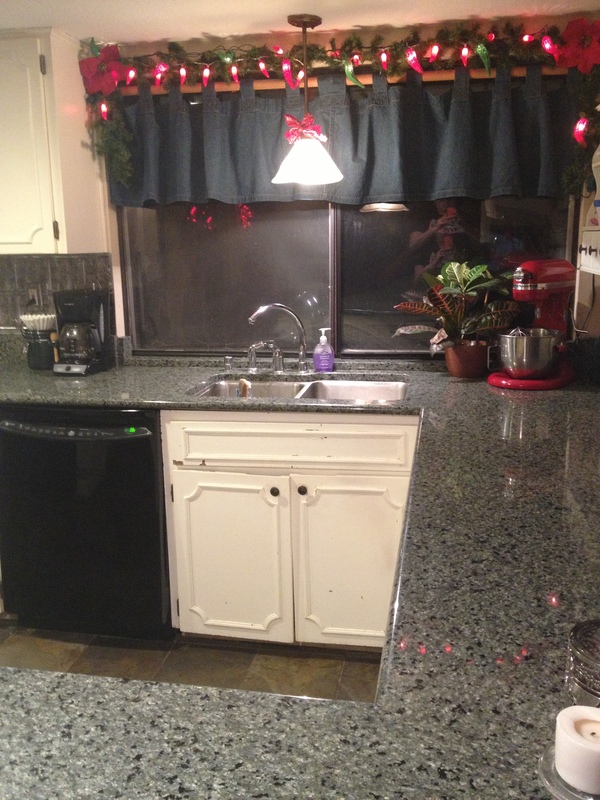 It’s not too bad when you are only adding a piece or two, but we were starting from scratch. So, it was DIY for us. We started by recreating some rope garland I had seen in a department store. I don’t remember the exact cost, but it was something like $40 for a 6- or 8-foot piece. Pfftttt! We made it with an old red bandana and $5 worth of rope from the hardware store. It turned out quite nicely, if I do say so myself. We are still using that “garland” today. However, you can’t fill an entire Christmas tree with rope, so we also made ornaments out of dough. Using cookie cutters, we made boots, stars and Texas shapes. My daughter helped me make them. Those are some of my most favorite ornaments I have ever had because of the memories we made. Unfortunately, over the years, the dough ornaments have fallen apart. I think I only have one or two of those left. I have been able to amass quite a collection of holiday stars, cowboy Santa’s and more since then. Even though that tree is full to the brim now, I still enjoy shopping the after Christmas sales every now and then for new finds or picking up new items while on adventures with my family. Whew! That was a lot of jabber to get to the point of this. Sorry. 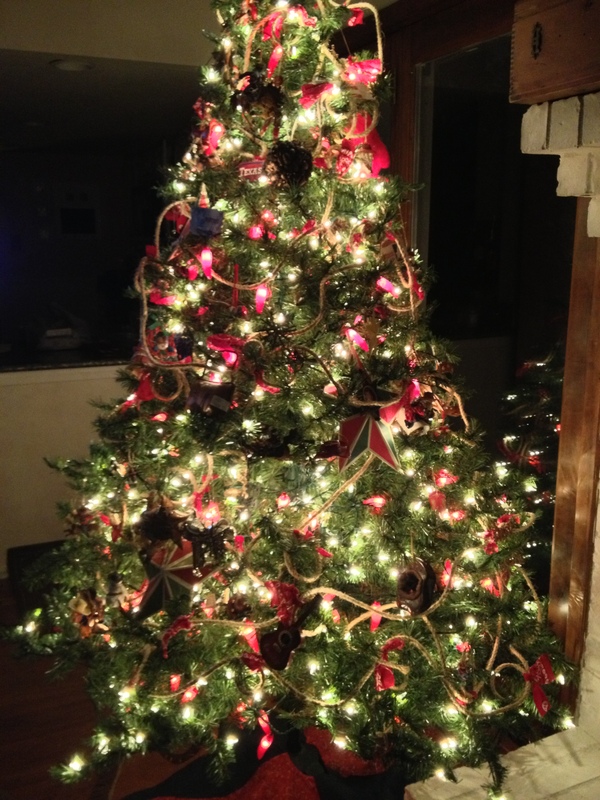 Last year, I wanted to add something larger to the tree, and do it within a budget. I’ve already talked about my Silhouette Cameo and this is just another example of a project I was able to do. I made these stars from red, green and Kraft scrapbooking cardstock. I made them in several sizes, using one 99-cent cut file purchased from the online Silhouette store. I don’t remember quite how many I made, but there are quite a few. In all, I spent less than $10 including paper I’m sure I bought on sale. 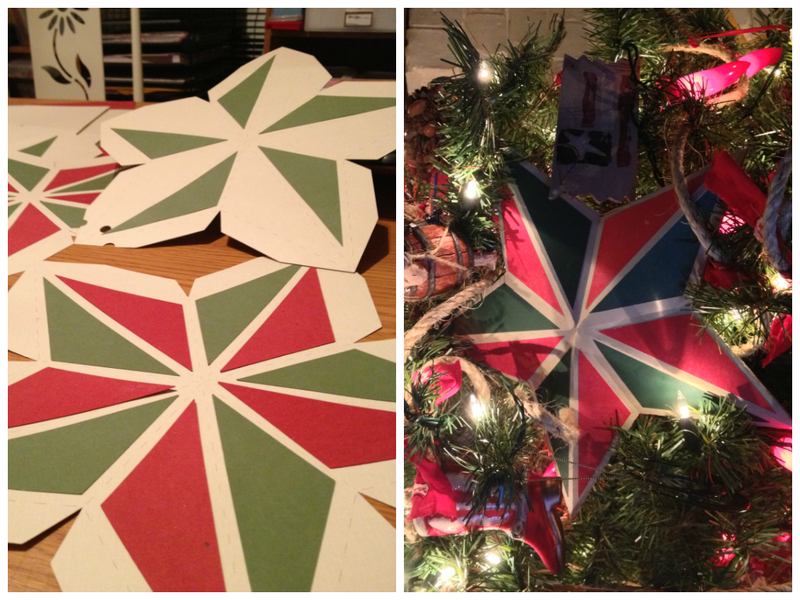 Cutting them out was a cinch, however gluing all the green and red insets onto the star was a little time consuming. Some of them I ran through the sticker machine and sped the process up a little. You could also totally do them without the insets and the project would take literally minutes. 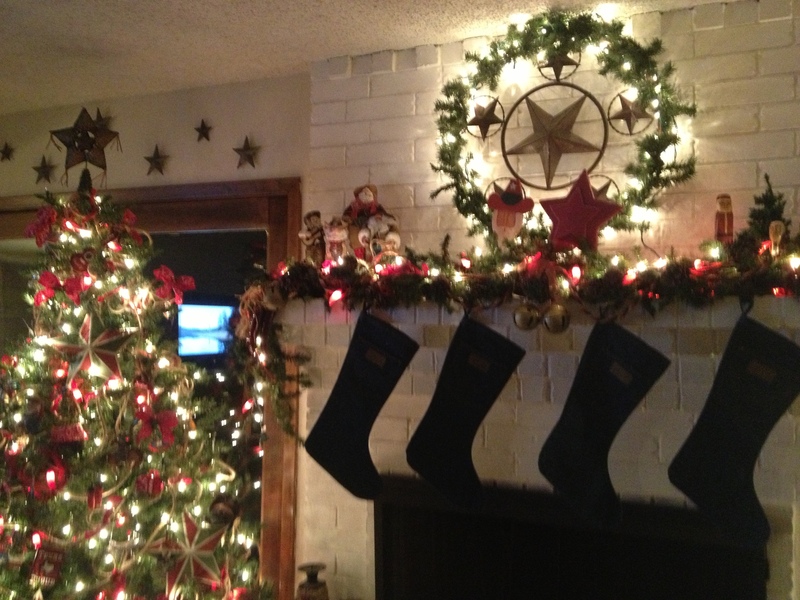 This year, I am making a few smaller stars to add to the garland on my mantle. It should cost me nothing, as I already have the cut file and some of the paper left from last year. Yay for no-cost projects that make a big impact!! TOOLBOX TALK: I’ve talked more than once about my Silhouette Cameo and how much I love it. This is not a new machine, but it is a good one. The biggest plus, you don’t have the added cost of buying cartridges of files to cut. Keep in mind, you can also cut the fonts you already have on your computer and convert any clip art or shape you have to an SVG (cut) file. I use an online converter, but if you are computer savvy there are other ways to do it as well, I just like the ease of the online converter I found. With Silhouette software, you are also able to create your own art, alter or resize files you already own. It is so easy. The only drawback I see (and it is small) to this electronic cutter is that is not super portable. You do have to hook it to a computer with the Silhouette Software on it. This computer “houses” all your cut files.